KISRAK - Planters - Mechanical Cotton Planter by Azim Ziraat Aletleri San. ve Tic. 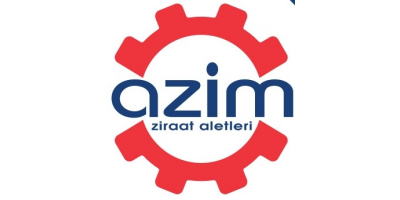 A.S.
Azim Ziraat Aletleri San. ve Tic. A.S. Since the time we introduced the first “Mechanical Cotton Planter” machine to Turkish market, we offer the most precise machines to the customers. As being the poineer of the “Planters” in the Turkish market, Azim Ziraat Aletleri introduced the Pneumatic Planters series for different conditions. KISRAK Series are useful wet of not well prepared soil conditions with the best efficiency. The great advantage of this machine is to fix the depth of the seed with the surface in every soil condition. All Planter Series Pneuumatic Planters differs from other competitors with its strenght, “Easy To Use System”, “Easy To Change Sowing Disc”, “Easy Transmition System”, “Sowing Disc Support System” and the “Sowing Distance Precision” system with the reliable experience of Azim Ziraat Aletleri. No reviews were found for KISRAK - Mechanical Cotton Planter. Be the first to review!